If you want your Bluetooth speaker to stand in out in a market that's getting more crowded every day, you need to come up with a design that's more useful, more functional than anything else out there. And since everyone loves ninjas, why not just make them look like a pair of nunchucks? RIGHT? 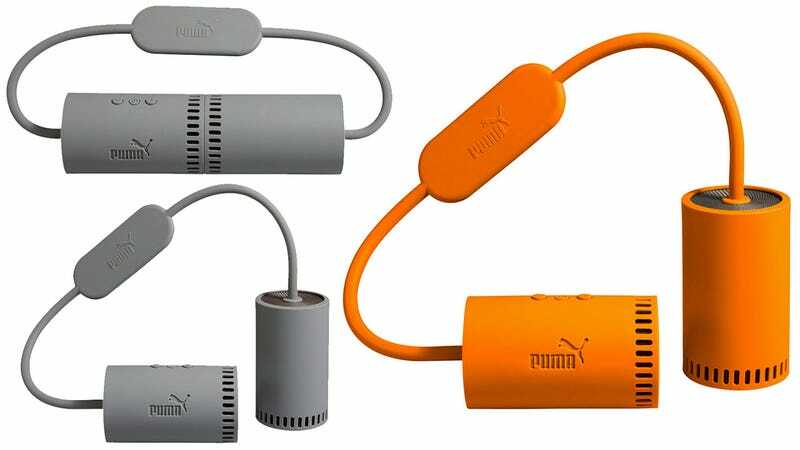 That's what Puma did with its new—and aptly named—Soundchucks, which finally let you weaponize your favorite tunes. But besides laying a beat down on anyone who criticizes your taste in music, the Soundchucks' unique design has other functionality too. The silicone band that tethers the pair of stereo speakers together lets you hang them wherever you want, while magnets let you merge the two speakers and close the loop so there's less chance they'll fall if precariously perched.